Mail: Is it too soon to count Syracuse out of the NCAA tournament? 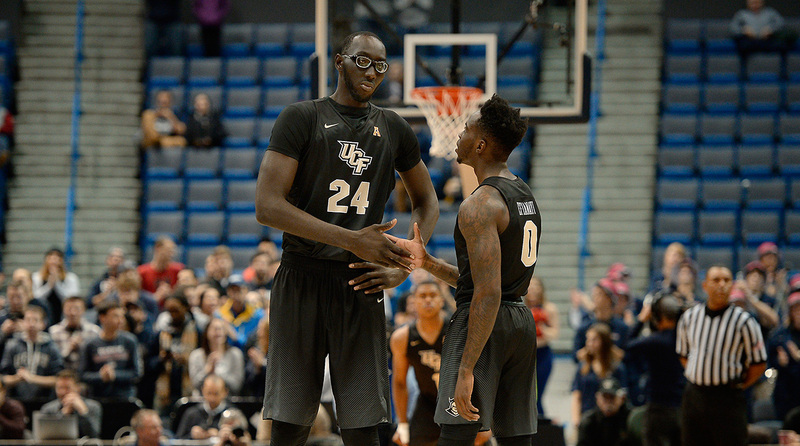 How good can UCF 7' 6" center Tacko Fall be in college hoops and as a pro? 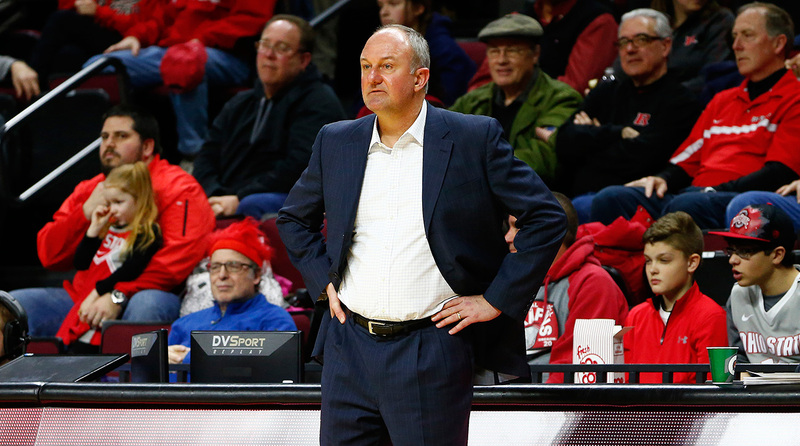 What is Thad Matta's future at Ohio State given the school's recent struggles? 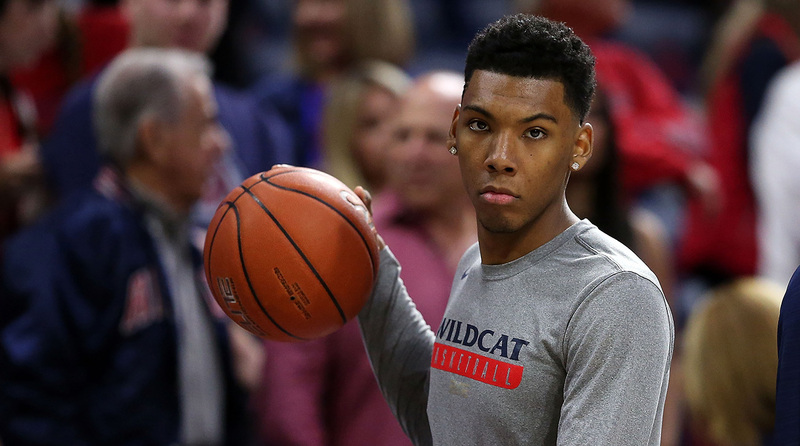 Will Arizona become a national title contender if Allonzo Trier becomes eligible? Normally, I don’t like to entertain questions about whether such-and-such team will make the tournament this time of year, because there is still so much basketball to be played. Yet, it is intriguing to consider whether Syracuse will do enough to get back into the field. If you look in the rearview mirror, the picture is pretty bleak. Syracuse has already lost seven times this season, and four of those losses (UConn, Georgetown, St. John’s, Boston College) came against teams that are very likely to miss out on getting to the tournament. To me, these performances were befuddling. Yes, the Orange lost their top three scorers from last year’s Final Four team, but there is still more than enough talent in the program to get back to the tournament. The problem has been that four of the team’s top five scorers are in their first year with the program—graduate transfers Andrew White (who came from Nebraska) and John Gillon (Colorado State) plus freshmen Tyus Battle and Taurean Thompson. Jim Boeheim’s 2–3 zone defense is so effective because he has committed fulltime to it. That means his guys need lots and lots of practice hours to get it right. As the team struggled in the early going, Boeheim has used five different starting lineups, even though he only has eight scholarship players available. Notice how I phrased the original question to ask whether Syracuse “will” make the tournament as opposed to whether it “can.” Clearly, it can. The Orange play in the toughest conference in the country, one that right now has it scheduled to play 12 more games against teams ranked in the top 50 of the RPI. Yes, that means some tough sledding ahead, but it also affords lots of chances to notch top-50 wins. They already have one in the bank courtesy of their win over Pitt, which is 28thin the RPI. Normally, I have found that the magic number of top-50 RPI wins is three when it comes to securing an at-large bid. That would mean Syracuse only needs two more, but a team also doesn’t want to get too far below .500 in its conference record. That is dangerous territory. Tuesday night’s loss at Virginia Tech left Syracuse with a 2–2 conference record. Their remaining ACC home games are against Boston College, Wake Forest, Florida State, Virginia, Louisville, Duke and Georgia Tech. Can the Orange win five of those six? The road games are at North Carolina, Notre Dame, NC State, Clemson, Pitt, Georgia Tech and Louisville. Can they win three? If they do both, then they would finish 10–8 in the ACC, but they can’t just do this by beating all the teams they should. Syracuse needs to find a way to win a least one game against a high-quality ACC team, preferably on the road. Of course, charting the path and pulling that off are two very different things, but keep in mind that last season, Syracuse also lost to St John’s early in the season, started off 0–4 in the ACC and lost five of their last six games. Not only did they make the NCAA tournament, they also reached the Final Four. So if you want to count Jim Boeheim out in the second week of January, be my guest. But don’t ask me to join you just yet. It’s hard not to be enchanted with Fall, who at 7' 6" is the tallest player in college basketball. He is a native of Senegal who played soccer while he was growing up but transitioned to hoops when he grew to such astounding height. He came to the U.S. at the age of 16, went to high school and trained in Houston, and he is now in his second year at UCF. Yes, he’s raw, but the numbers suggest a significant improvement over last season: He went from scoring 7.4 points per game to 13.4; from 5.9 rebounds per game to 10.7; and from making 75.0% of his field goals to 79.3%. He’s also getting to the foul line twice as often, although his percentage has declined from 56 to 46. He sure is tall! . . . Love the goggles, can’t explain why . . . Can’t understand why anyone would drive at him, but they do . . . Gets more of his blocks away from the basket than you’d guess . . . Not real mobile defensively but not too bad at closing out on three-point shooters . . . Best option is to force him to defend ball screens . . . Offensively, he has zero explosiveness . . . Hands are not strong, either. If he brings the ball below his shoulder it often gets knocked away . . . No shooting range outside of a layup or dunk . . . Not a bad little baby hook when he gets it . . . Gets called for three seconds a lot. I didn’t realize that was still a rule . . . Would be a lot more effective under FIBA rules, which allow for offensive goaltending . . . No ability to recognize double teams and pass out of them . . . Poor balance offensively, knock him off his base and he will stumble . . . Can’t imagine how he flies coach. I had to answer this, because it has been quite some time—as in never—since I got a question about Rutgers basketball. It’s nice that some fans got excited about the 11–1 start, but what we’ve seen since then was, alas, predictable. After sailing through a nonconference schedule that was ranked by kenpom.com No. 348 out of 351 teams, the Scarlet Knights have lost five straight, including their first four in the Big Ten. The team is ranked No. 136 in kenpom.com’s overall efficiency standings and No. 131 in the RPI. The good news/bad news is that first-year coach Steve Pikiell does not have any seniors in his rotation. He has a chance to develop some continuity, but he also trying to build with players who do not appear able to compete nearly at the level this program needs. Nor does it look like any help is on the way. Pikiell has only received two commitments so far from the high school class of 2017, and neither is believed to possess impact talent. Pikiell replaced Eddie Jordan, who was shown the door last spring after going 29–68 in three years. Pikiell is a little known but generally well regarded former UConn player and assistant who last year brought Stony Brook to its first-ever NCAA tournament. It may have taken him 10 years, but at least he got there. That is nothing compared to the job Pikiell now faces. For years, I’ve heard people talk about how Rutgers is a sleeping giant—it’s the state university of New Jersey, it has a homecourt that gets hot and rowdy . . . blah blah blah. I’ve always riposted with a simple question: If this job is so good, how come no one has ever won there? It just goes to show that facilities, geography and conference affiliation cannot overcome a poor culture, and this athletic department has been an absolute disaster the last few years. So while it remains to be seen whether Pikiell will be able to succeed where so many have failed, one thing that is quite clear is this season will be more of the same for a program that badly needs things to be different. I’m getting more questions about Matta from the Ohio State fan base, which is understandable. The Buckeyes have not been past the first round of the NCAA tournament since 2013, and they are in danger of missing out on the NCAA tournament for the second straight year. They started out Big Ten play by losing three straight, and their next three games are at Wisconsin on Thursday, home against Michigan State, and then at Nebraska next week. An 0–6 Big Ten record is a real possibility. First of all, let’s dispense with any and all speculation that Matta is on any kind of hot seat. From a job security standpoint, he is as safe as safe can be. I mean, I’m old enough to remember when people asked the same questions about whether Jay Wright would ever get out of the first round again. No question the program is ina lull, but there’s also no question Matta is the right person to get out of it. Second, while Russell was considered a good recruit when he signed with the Buckeyes, nobody anticipated that after his freshman season he would be the second pick in the NBA draft. Ditto for Kosta Koufos, who likewise went pro in 2008 after just one season. Again, if you’re one of the Big Three, you can afford to lose guys you don’t expect to lose. For the rest of the world, it is a major setback because in most cases the coach is unable to find a suitable replacement. And third, Matta made some serious mistakes with last year’s recruiting class, not just in terms of talent but also character. One player, 6' 4" guard Austin Grandstaff, transferred out mid-season. Three other freshmen transferred in the spring. At the time, it looked like those kids were abandoning Matta en masse, but last summer a video circulated of Matta speaking at a charity golf tournament, where he revealed that it was his decision to get rid of the kids because he believed they had a lack of discipline. (According to Matta, he told the players, “Some of you are going to transfer. You don’t know it yet. But whatever you do, don’t come see me. Just shoot me a text because I’m tired of looking at you.”) Matta may have viewed those defections as addition by subtraction, but there is no doubt that they set the program back. Following the worst season of his career, he is essentially building from scratch again. Unfortunately, I can’t say that help is on the way. As of now, Matta has just one incoming player who is ranked in the top 150 on Rivals.com—Kaleb Wesson, a 6' 8" center from Westerville, Ohio. He has two verbal commitments from the junior class, but neither is ranked in the top 50. So I’m afraid the Buckeyes’ stroll through the desert is going to have to extend a while longer. But the rain will come eventually. I wanted to answer this question not necessarily to address North Carolina specifically, but to clear up some misconceptions about how the committee assesses personnel issues. The main question is whether there is a discernible difference between the way a team performed with the player or players, and without. (Or in the case of a missing coach, as Duke is dealing with right now.) If there is, then the committee is more inclined to give the benefit of the doubt on the losses incurred while the player was out. If there is not much difference between how the team performed, then this becomes a nonfactor. A classic case for this season is South Carolina. The Gamecocks have yet to lose a game with senior guard Sindarius Thornwell in the lineup. Yet, the team went 3–3 during the games when Thornwell was suspended for violation of athletic department policy. So South Carolina should get the benefit of the doubt for those three losses. As for the Tar Heels, I frankly don’t expect Pinson’s return to have much effect. In the first place, he has missed a lot of time and it will take him a while to get back into game condition. Second, he is a valuable role player, but a role player nonetheless. Most of all, the team went 13–3 with Pinson out. It’s hard to imagine they can do much better now that he is back. First of all, let me say that you could make a strong case that Sean Miller is the leading candidate for national coach of the year. Arizona has had to deal with multiple injuries on top of Trier’s ineligibility. Miller’s rotation is basically down to just seven players, three of whom are freshmen, yet here they are, owning a 15–2 record and ranked No. 16 in this week’s AP poll. As for Trier, if he does return, I believe that it will dramatically transform this team. I say that not only because the kid is an NBA talent—the 6' 5" sophomore was due to be Arizona’s leading returning scorer after averaging 14.8 ppg last year—but also because he has continued to practice and travel with the team while waiting for his eligibility issue to be resolved. From everything I’ve heard, Trier is much improved and matured over last season, and he is killing it in practice. Unlike an injury situation, where a player is usually idle, Trier should be able to step onto the court and compete with very little rust. It’s still unclear exactly when he will rejoin the team, but last week Miller went further than he usually does and told the Pac-12 Network that he expects Trier to play for Arizona at some point this season. When that happens, I expect the Wildcats to be able to contend for a Pac-12 title and a spot in the Final Four. They’re that good.